9. Duvall, Huelyn Hey Brutus [unissued] uniss. 10. Duvall, Huelyn Friday Night On A Dollar Bill [alt. vers.] [unissued] uniss. 11. Duvall, Huelyn Brown Eyes [unissued] uniss. 12. Duvall, Huelyn Teen Queen [alt. vers. 2] [unissued] uniss. 13. 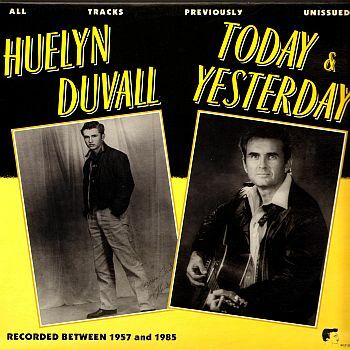 Duvall, Huelyn Can't Go Away [unissued] uniss. 14. Duvall, Huelyn Hum-Dinger [alt. vers. 2] [unissued] uniss. 15. Duvall, Huelyn These Children [unissued] uniss. 16. Duvall, Huelyn Be-Bop-A-Lula [unissued] uniss.